Today is International Pi Day. It happens to coincide with the birthday of Albert Einstein. Those many who hated mathematics at school will probably only see Pi as some strange Greek letter that was used in formulas that had to be learnt by heart. The shame and pity of this is the fact that the number that Pi represents is what makes mathematics so useful and, when you get into it, exciting. Pi is nothing more and nothing less than the relationship of a diameter to a circumference (or a radius as half of a diameter). This may not excite the non-mathematical out there very much but it is a great discovery. If you know that the relationship does not change then you can work out a circumference of any circle, part circle and reverse the process if you know that circumference to find the diameter or the radius. This means you can work out the measurements of anything circular or partly circular however large or small. There is so much in our world that is circular or partly circular. This also opens the way to the understanding that physical entities have unchanging relationships with one another and this ultimately leads to a simplification and deeper understanding of our world. 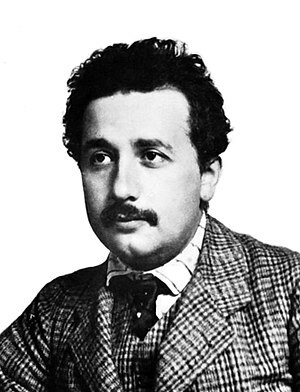 It was probably something like the knowledge that we can investigate and understand our world and the wider universe that it is a part of that fired the imagination of a young German boy Albert Einstein. School did not really make him wonder but the concept of a fixed relationship between a radius and a circumference may well have fuelled his daydreams and we all know where that led to.